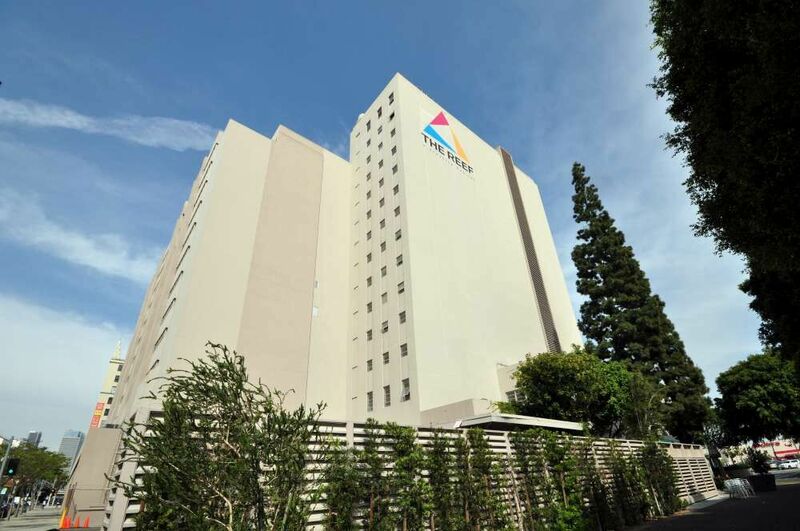 Visually stunning both inside and out, this Los Angeles business center is just the ticket for ambitious business owners looking for a creative, collaborative office space in Downtown L.A. 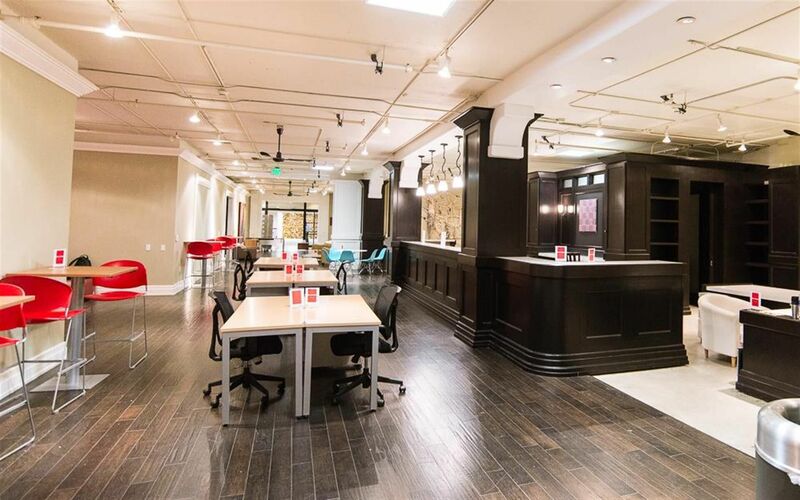 These beautiful executive office suites are the result of a partnership between Maker City LA and one of America's leading suppliers of flexible workspace. Based on the 11th floor of THE REEF (formerly the LA Mart) on South Broadway, this striking business center exudes personality and professionalism. Wow your clients and boost your productivity with well-equipped workspaces, contemporary meeting rooms and quirky common areas. Take your enterprise to new heights and enjoy an inspirational workspace community that's tailormade for creative businesses. Looking for an inspirational, collaborative workspace in Downtown L.A.? You've got it! 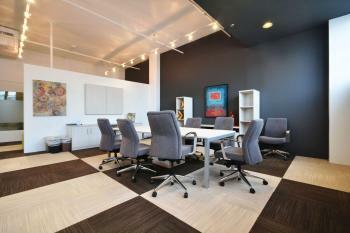 This stunning serviced office center is perfect for creative businesses. 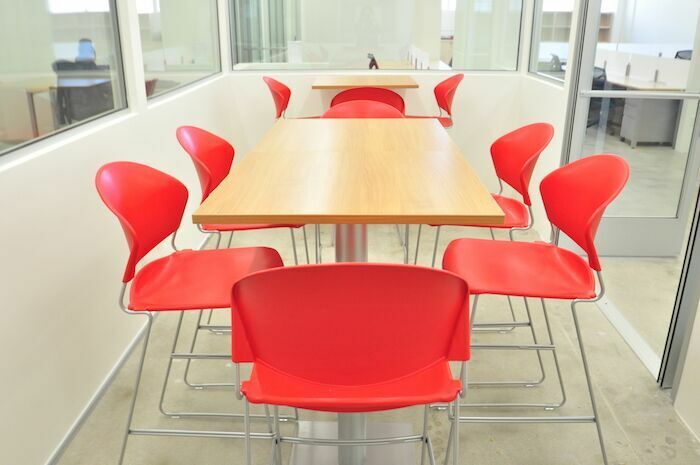 Large or small, your business will feel right at home in this collaborative environment, complete with coworking spaces, private office suites, conference rooms, event space, workshops and labs. Move in and settle in virtually straightaway thanks to flexible contracts and fuss-free agreements. Get connected with high-speed internet access and Wi-Fi, and benefit from on-site assistance including mail handling, receptionist services and day to day business support.